Are you tried of forgetting pen and needle any where in the room while doing embroidering? Then here is the solution for you. 1) You can dispose off your needle in a spice jar. There is small hole beneath the spice jars cap, put your needle in it. 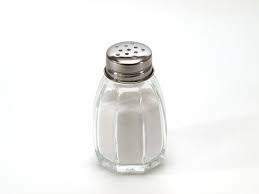 To make it more spicy you can filled the jar with different color of sand or some thing else. Put needle in the spice jar hole. 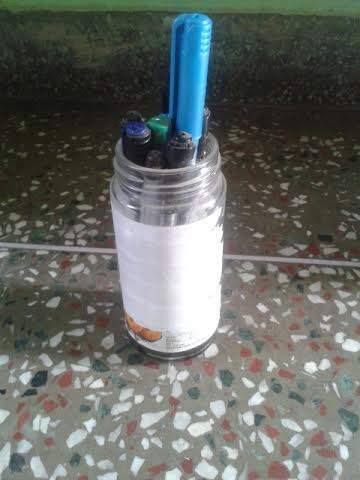 2) Similarly you can put your pen and pencil in a used jar. In our kitchen we are having used jars, take that used jars for putting the pens. Above both idea is very useful and free of cost. isn't it?